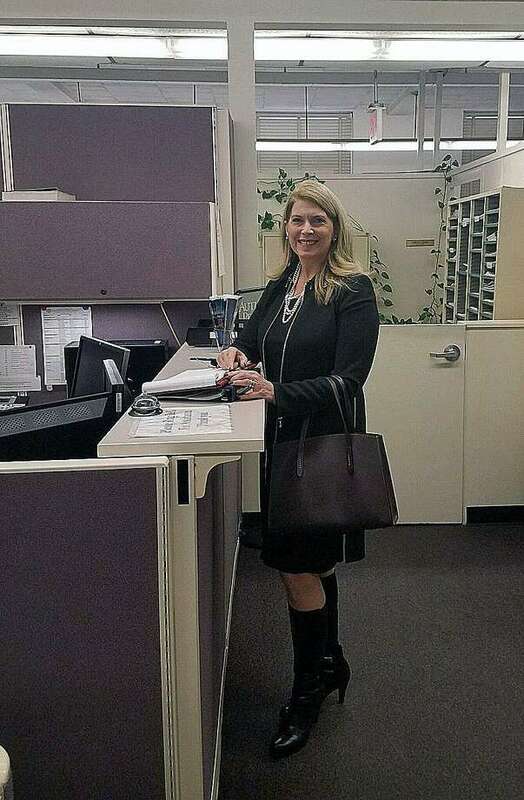 In a photo posted to her Twitter account, Darien First Selectman Jayme Stevenson announced she was running for lieutenant governor, Tuesday, Jan. 30. DARIEN — Jayme Stevenson says it’s time for a change. Darien’s first selectman announced Tuesday she is running for lieutenant governor. According to the paperwork, Stevenson filed with the Republican Party under the committee name “Stevenson4CT.” Her treasurer is Michele Berardo, a Fairfield resident. Stevenson’s potential running mate remains uncertain. Stevenson was elected in November to her fourth two-year term as Darien’s chief elected official. During her most recent campaign, Stevenson said she was concerned about the state budget and was looking to build relationships on the regional and state level. Stevenson ran for first selectman as a Republican, though was critical of President Donald Trump prior to him becoming the GOP candidate in the 2016 presidential election. She has previously described herself as fiscally conservative and socially moderate. But after the presidential race, Stevenson said she voted for Trump based on his Republican ideals and policies. Stevenson also attended Trump’s inauguration. Stevenson moved to Darien in 1991 with her husband, John. She previously worked as a New York City bond analyst at Standard and Poor’s and graduated from Arizona State University’s Walter Cronkite School of Journalism and Mass Communication where she studied communication management. The election for lieutenant governor will be held in November. Includes prior reporting by Justin Papp and Neil Vigdor.